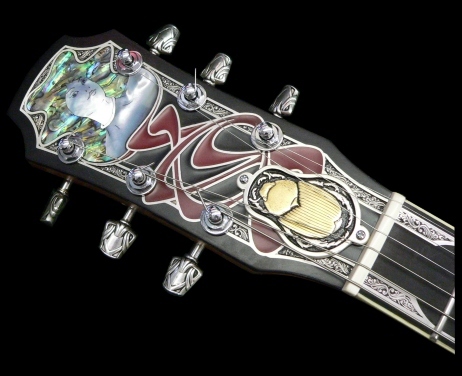 "Lenore" is a limited edition guitar (40 available instruments) commemorating the 200th anniversary of the birth of Edgar Allan Poe, 1809-2009. The sources of many of the design elements of “Lenore” are the works and themes of Edgar A. Poe, including "The Gold Bug", "The Raven", and "A Dream Within a Dream". Excluding electrical components and some mechanical parts (screws, washers, frets, etc. 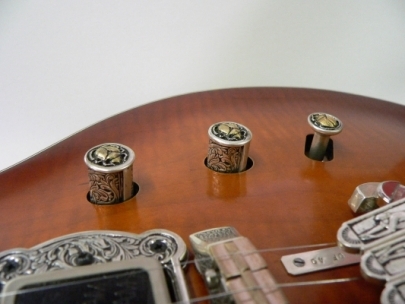 ), Goldbug designs and produces every part of "Lenore", including the bridge, tailpiece, pickup rings, tuner knobs, tuning machine housings, strap pegs, control knobs, switch tip and inlays. 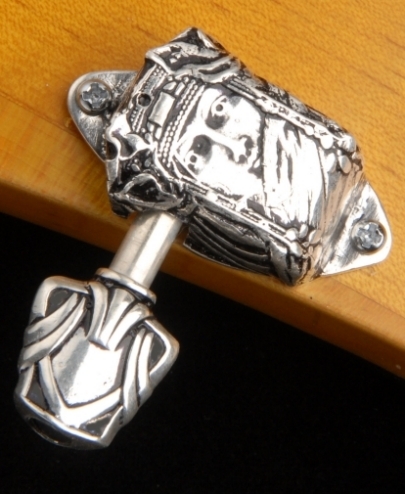 All of these items are made of solid sterling silver and each piece has been exquisitely designed and manufactured with unparalleled craftsmanship and attention to detail. 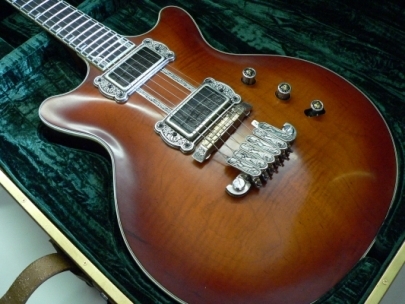 "Lenore" is manufactured with 50's era construction techniques including ‘long tenon' neck joints, 17 degree headstock angle, 4 degree neck set back, and genuine South American mahogany body and neck. "Lenore" has a solid flamed maple carved top. 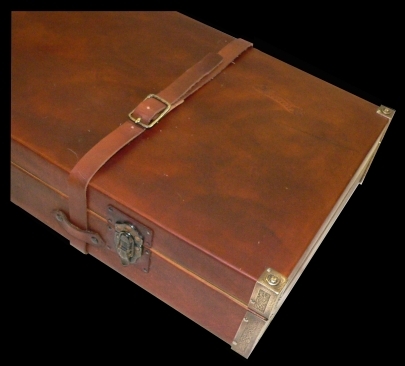 The leather covered guitar case is manufactured by Goldbug to simulate an antique "double-gun" case. 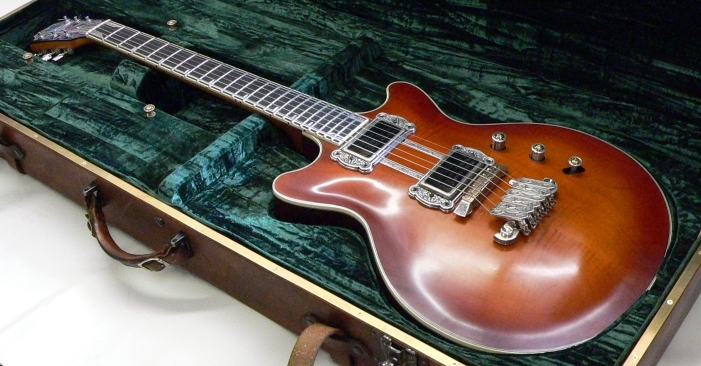 “Lenore” utilizes a master volume control, a master tone control and a 3-way pickup selector switch. The volume control sets the output level of the guitar regardless of how the selector switch is set. The tone control applies the tone setting to both pickups. 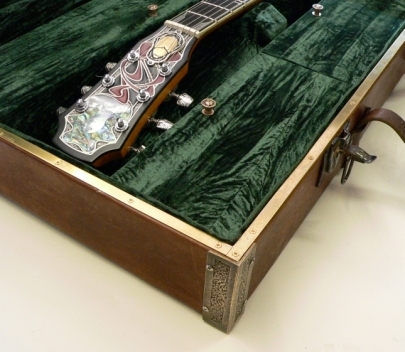 The guitar is wired with 50's style circuitry to avoid loss of “highs” when decreasing the volume level. "Lenore" is equipped with Goldbug “Tru-Tap” pickups. 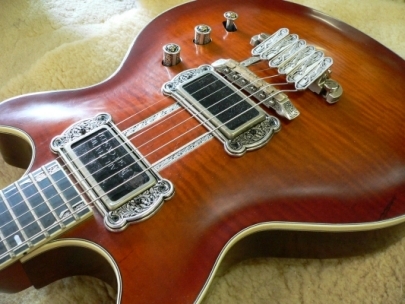 This unique passive (non-battery powered) pickup design allows for the switching of humbucker pickups to single coil status with virtually no loss of output power. This unique design avoids the necessity of a very high output humbucker, notoriously mid-rangy and potentially muddy, in order to yield an acceptable output from a single coil. Consequently, "Tru-Tap" pickups have the articulation and clarity of a classic "PAF" style humbucker as well as the full bodied bite of a legitimate full-output single coil pickup. Switching is accomplished by push-pull pots. The volume control pot switches the neck pickup and the tone control pot switches the bridge pickup. 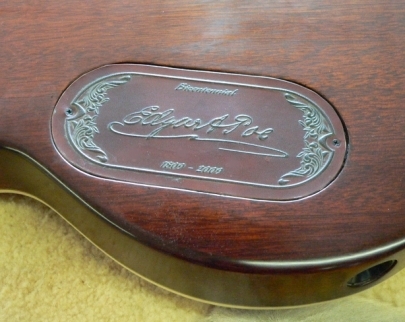 The finish on the guitar is a hand-rubbed varnish simulating an antique violin finish rather than a modern machine or power-buffed guitar finish. 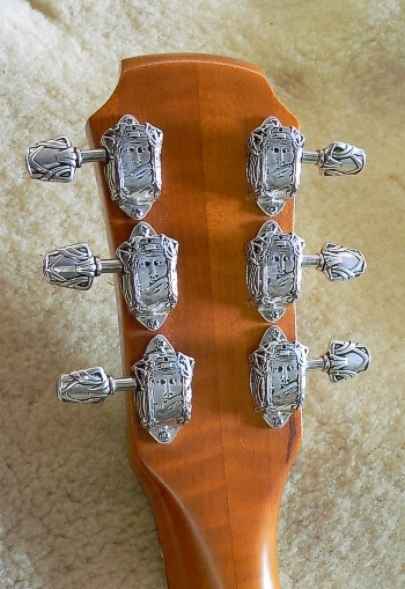 All Goldbug guitars utilize the "Buzz Feiten" tuning system. The bridges are adjusted for intonation at the studio and should not need to be readjusted unless you would radically alter the action or the string gauge. If readjustment is required you should have someone do it who is a "BFTS" (Buzz Feiten Tuning System) licensed repairman. Standard methods of intonation will not work because Goldbug fretboards are physically different than standard fretboards.